On day three of his sentencing, former Paralympic athlete Oscar Pistorius shocked the court, by removing his prosthetic legs and hobbling through the court room. Pistorius was asked by his defence counsel, Barry Roux, to remove his fake limbs in a bid to prove his ‘vulnerability’ during the incident. He took his legs off and walked across the room on his residual limbs, before leaning on a wooden sideboard next to his lawyer. 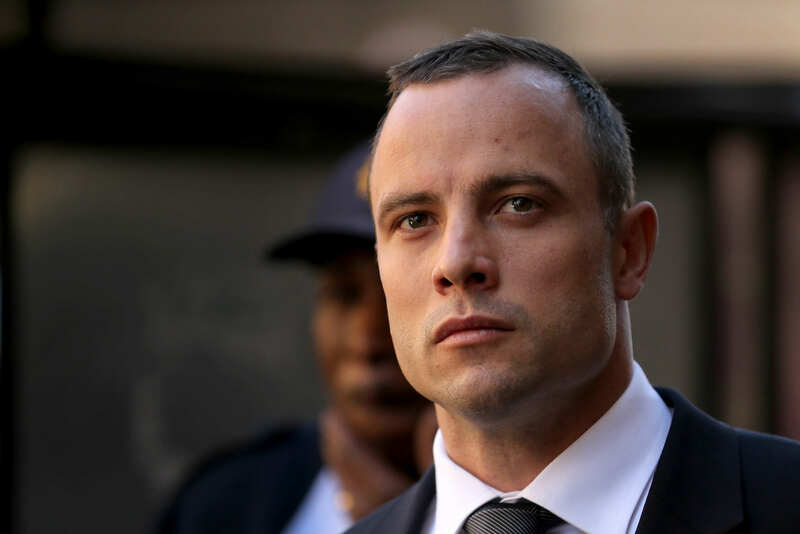 The defence lawyer wanted to give the court an idea of how Pistorius was on his stumps, as he was without his prosthetic legs when he fatally shot his girlfriend Reeva Steenkamp through a toilet cubicle door in his in home 2013, The Mirror reports. 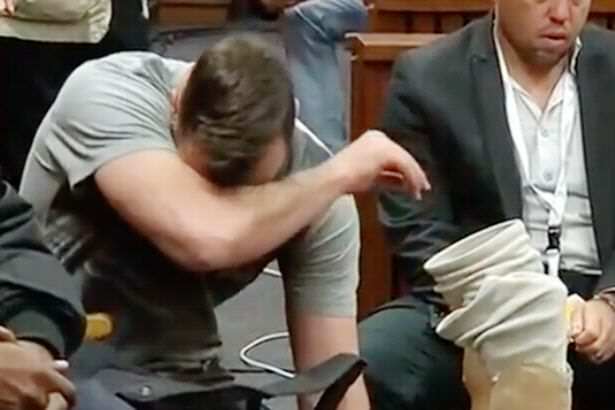 With muggings and kidnappings more commonplace in South Africa and as a rich, disabled man who was constantly in the public gaze, Pistorius claims that he was acutely aware of his vulnerability and thought an intruder was in the house when the incident occurred. This is the person – it’s three o’clock in the morning. It’s dark. He’s on his stumps…not on his legs, he is not running around the track. When he was on his stumps his balance was seriously compromised and without anything he would not be able to defend himself. He was anxious, he was frightened and he was suffering from an anxiety disorder. This must all be seen in the context of his disability and the pervasive effect of the disability. When I look at him I think how rational can be. He then asked a distressed looking Pistorius to return to his seat. The runner faces up to 15 years in prison for killing Steenkamp at his home in Pretoria in the early hours of Valentine’s Day 2013. This hearing will bring to an end several years of legal battles after he was originally convicted of manslaughter. The conviction was then upgraded to murder by South Africa’s Supreme Court last year, with judges saying that Pistorius has no more options to appeal. The hearing is scheduled to run until Friday.